Since August, I’ve been on a journey. My posts have ranged from social innovation and ecosystem reform to Enterprise 2.0, the pitfalls of traditional Knowledge Management (KM), and the first inklings of a knowledge renaissance. Do you see common elements? What if we made an effort to foster cultures of learning throughout our social and commercial ecosystems? If we assumed there were shared threads, what kind of tapestry could we weave? At the core of such a model would be teams of people, working to understand and improve the many problems and challenges in front of them. Let’s call that process collaboration. Social media is making this a virtual experience, removing traditional geographic and political barriers. Now anyone can collaborate with virtually anyone, at little or no cost. All it takes is a commitment of time, and a sense of purpose. What would they be working towards? The stuff of paradigm shifts, really: emergent insight, knowledge, or simply a better “way of doing things”. So we’ll call the outcome by its rightful name: innovation. Social context. In areas like public education and healthcare, a focus on stakeholder outcomes is gaining increasing priority. Many have grown frustrated by a current state that is broken and dysfunctional. Even now, social innovators are forming ranks to attack issues in our ecosystems. Commercial context. Still other teams begin to work in cross-functional ways to drive new organizational models. Focus on individual contribution increases. Silos are seen as the problem. Under banners like “Enterprise 2.0” and “Social Business Design” corporate innovators are building new models for networked interaction and collaboration. Today, social and corporate cultures rule the status quo, and are routinely identified as the most critical barrier to change. The alternative? We need to build cultures that embrace learning as a fundamental requirement, bringing open minds and critical thinking to the table. Behind the scenes, learning and innovation are woven tightly together. Here’s the bottom line: if it sounds ambitious, it is. But the foundational work is underway and social media has unlocked many new doors. Its work that needs our energy and our focus. Are you on board? I’d love to get your thoughts. Below I introduce a framework for Ecosystem Evolution, a collaboration-based process to achieve innovation in our social ecosystems, which includes complex spaces like Healthcare and Public Education. Our thought process has been evolving since August 2009, and can be tracked in this stream. This problem-solving approach is intended to be comprehensive in its objectives and capabilities, yet straightforward in its design. It is made possible by incorporating insights from complexity science, as well as the rapid evolution of the social media platform, which allows cross-disciplinary subject matter experts (“SME”s) to work together in an efficient, virtual manner. At the core of this framework is a realization that there is a current way of doing things, and multiple, new, innovative ways of doing things better. Using paradigms to frame and analyze developing ideas is important, especially in early stages, when the alternative solutions are still formative . It provides an intuitive frame of reference for discussing ecosystems: boundaries, rules, behaviors, and outcomes, all important elements that describe the complex systems we will be tackling. This “way of doing things” (both current and improved) is often the source of significant debate. Semantic challenges abound. Traditionally, problem/solution scenarios are written down in many ways, ranging from pure text (popular in legislation) and napkin drawings all the way to complex diagrams and flow charts, using a multitude of formats and tools. We will need to keep the process focused on ideas and content, not tools. Due to the complexities of our social ecosystems, the nature of changes involved must go far beyond any notion of incremental adjustments. Contemplating the “game changing” notion of a paradigm shift precedes any fundamental, structural changes in our current paradigms . To innovate, we’ll need to challenge conventional wisdom in each domain, or subject area. This approach will help us achieve that. Let’s take a look at my proposed Ecosystem Evolution model, which provides a collaborative overlay to the Current State view that I originated in my last blog post. There are a couple key points to take away from this. (1) Actionable Scope (need to be realistic). A framework like this is a representation of a complex set of relationships, interactions, intermediate steps, and deliverables. The simplicity of the model should by no means imply trivial efforts or shallow treatment of the topics. Rather, considerable work is implied. This model creates the process backbone for a series of connected collaboration teams. Further details on “how” will be forthcoming. (2) Adaptable, Scalable and Efficient. This approach creates the means by which the rigorous and appropriate discussions might evolve uninterrupted, through a “hub and spoke” model of work group replication. In other words, any number of problem-solving teams may be spun off from the core problem team within the ecosystem, to work on sub-issues, and report back. This makes the Ecosystem Evolution process adaptable, scalable, and via multi-tasking, quite efficient. Given the complexity of our ecosystem issues, this is perhaps the ONLY way problem solving could be meaningfully performed. (3) Focus and Rigor. We will begin to ask the right questions, and record all viable answers. (4) Meaningful Social Innovation (“disruptive”, and otherwise). Using this model, we can embark on a journey of discovery and social change that has heretofore been unsuccessful. It will be powered by people, connected using social media, supported (with further discussions) by both government and industry, and ultimately, embraced by all stakeholders. Clayton Christensen has made strong and insightful statements about the need for “disruptive innovation” to achieve change from outside ecosystem walls, and the many mechanisms required . I think his vision is the right one, and this Framework intends to achieve it. However, with participation from producers and consumers alike, the degree of “disruption” can be minimized, and simply acknowledged as a working objective. After all, we won’t score a “win” if we create economic chaos. 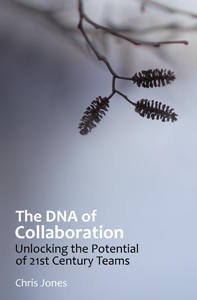 I believe the collaborative approach is the disruptive innovation that has been needed. The approach itself is an innovation in collaborative techniques imagined by Don Tapscott, but not (as yet) fully implemented . (5) Who benefits? First and foremost, it will be the consumer, as this approach is designed to achieve their objectives. But in the end, all stakeholders will win, because we will have created a viable, optimal, balanced approach for delivering services. This is clearly ambitious. Why am I so optimistic? Because there are lots of smart people out there. We simply need to engage them to start solving the tough problems. It’s time for our second test (and this is a non-rhetorical question): Can we make this work? Kuhn, Thomas, Structure of Scientific Revolutions. (1992). Meadows, Donella. Leverage Points (web, 2008). Christensen, Clayton. Disrupting Class (2008): McGraw-Hill, Ch.8, pp. 179-196. Tapscott, Don. Wikinomics (2006): Penguin, Ch.6, pp. 151-182.